Prada is a perfectionist and no detail is superfluous least of all the eyewear. 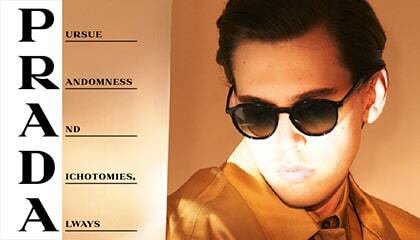 This leading house’s masculine takes on the reigning trend for retro are unique going deeper into the eyewear archives for distinction. From the statement making runway frames to the everyday style that you don’t want to be without, Prada provides unique character. Look out for the L Metal series for signature masculine styling.